Below you can view all the homes for sale in the Ridgeview subdivision located in Lawrenceville Georgia. 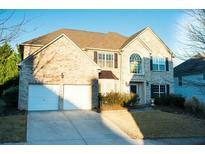 Listings in Ridgeview are updated daily from data we receive from the Atlanta multiple listing service. To learn more about any of these homes or to receive custom notifications when a new property is listed for sale in Ridgeview, give us a call at 404-998-4113. Large Master Suite With Private Sitting Room. MLS#6537247. 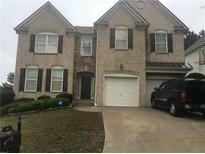 Your Home Sold Guaranteed Realty, Llc..
Great For Family And Entertaining! Must Come And See! ! MLS#6536379. Solid Source Realty, Inc..
Upstairs Laundry Room To Keep Things Convenient And When You Move In. MLS#6528536. Keller Williams Realty Atl North. 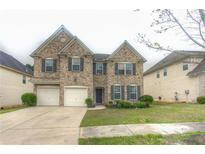 This Ridgeview Home Has Everything The Growing Family Needs! MLS#6528371. Mark Spain Real Estate. Located Near Historic Downtown Lawrenceville With Access To Shopping And Restaurants Move In Ready MLS#6528838. Maximum One Realty Partners. Lease/Purchase Is Also Available For This Home. Lease/Purchase Or Owner Financing Available. MLS#6026684. Re/Max Preferred.